We've been wondering about whether to try planting an avocado tree in our garden.....We both love avocados, and there is a variety that grows in our area....but I just worry about what we will do if we get a big crop of avocados. With most fruit or vegetables, there are ways to preserve them and keep enjoying a bumper crop for months ahead, but I don't know of anyway to preserve avocados. Do you? 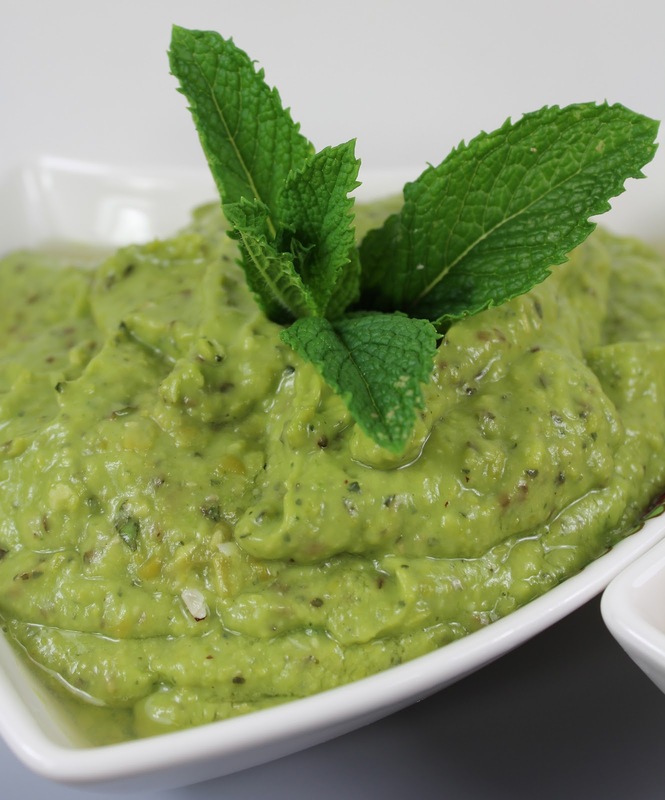 Anyhow, while we make our decision, I made a lovely minted pea and avocado dip for our friends coming around this evening. If using frozen peas, rinse them in water to defrost them. Add all the ingredients, except the water to a food processor and process until smooth. 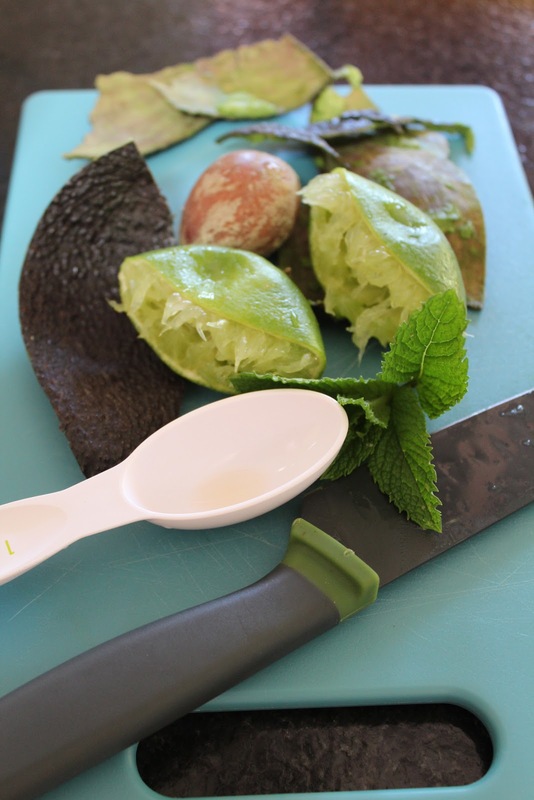 Check the consistency - as this will vary depending on how juicy the lime is - and add water until you get a smooth dip consistency that you like. Serve on toast or on crackers or as a dip. You can see in an earlier photo that I made some homemade fat free potato chips/crisps to go with it. Just sliced potato, crispened in the microwave.